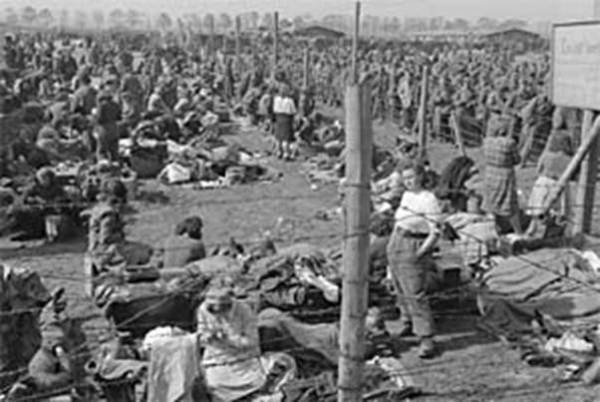 I am pleased and honoured to present my latest film project: The untold story of “Eisenhower’s Rhine Meadows Death Camps – A Deliberate Policy of Extermination” of the Surrendered German forces by the Allies, in post-war Germany (Rheinwiesenlager). Special Thanks: The theme song (in the opening segment) is called “Recurrence” by my friend and supporter, and amazing musician J. Belenger, and it is included here with his permission. Technical Notes: the footage is not all high quality and I had to use whatever was available. Also, the clips used were in a variety of different dimensions, some wide screen and some normal, and those were averaged out in the final rendering, and do not all appear uniformly. I am not sure if there is any way to improve upon it, but I will try and tweak it some more. YouTube: My main channel presently has several strikes against it and so I have had to upload this film to my back up channel here. It is also now available at archive.org. This is the end product of an enormous amount of time and work, in terms of transcribing, translating, recording, sound editing, re-takes, detailed video cutting, editing, splicing, and tweaking with several re-makes. It was also very emotionally and spiritually draining. Why? 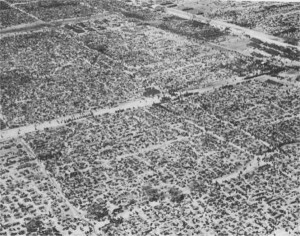 Firstly, as a German (born of German blood), having parents and relatives who lived through and survived the war and the aftermath, some who did not, and also one uncle who survived internment in an Allied prison camp, and as a citizen who lived in Germany for a good portion of my adult life, I am hereby, representing my people, past, present and future, and this is personal! German honour requires that I defend my people and tell their story. I have carried their pain and suffering with me every day of my life. My activism on this issue began when I was 15. This not my hobby. This is my life. It is my duty and my calling to confront the world and those responsible with the facts, to tell the truth as best I know it, and to demand justice for Germans. 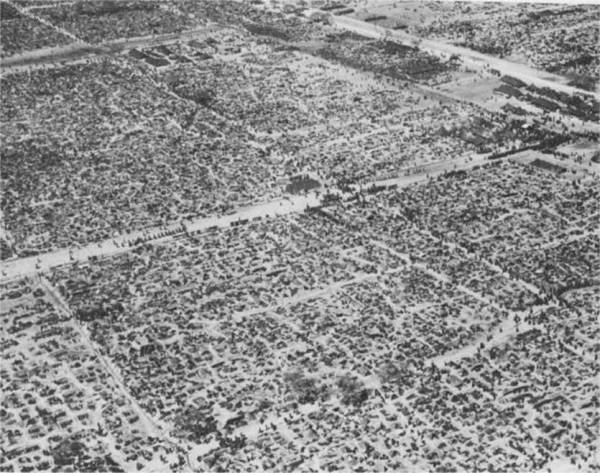 Secondly, as a compassionate and caring human being, it was extremely difficult for me to get through this and to maintain my composure, and to present the story as best I could, as professorially as I am capable of as the ‘narrator’, but then also, with the necessary passion required to convey the personal stories and what each of the eye-witnesses and survivors were saying in the interviews. So, to those out there who are stalking and harassing me, and are taking shots at me, trying to besmirch my reputation, question my motives, disrupt my work and distract others, you can go to hell you miserable bunch of stinking rats, leaches and stooges. It is obvious as to what your motives and intentions are, and who it is you are working for, and whose agenda you are serving. I hope they are paying you well, but remember, you can’t take it with you, nor will it save your sorry asses from the place you are destined to occupy when your time is up. I, however, regardless of the consequences that I may face as a result of my efforts, will leave this planet with my integrity and a clear conscience, knowing that, through all of my years of activism, on this issue and other issues, I did what was right and honourable. I did what I could, when I could, as much as I could, as best I could, for as long as I could, with everything I have, and that I did the right and honourable thing, regardless of the risk and cost to me personally. I answer to God, to my conscience and to my people. And I count myself in the very good company of other revisionists, activists and dissidents, both in Germany and around the world, who will not tolerate lies and injustices, and will not go along to get along. Finally, I wish to thank, with all of my heart, the wonderful people, fellow activists, colleagues, German brothers and sisters, at Volksfront-Medien.info, Medinet-West.info, Rheinwiesenlager.info, as well as those who support my cause, and the many others who have been engaged in this struggle for many years in Germany, for the honour, freedom and dignity of our people. 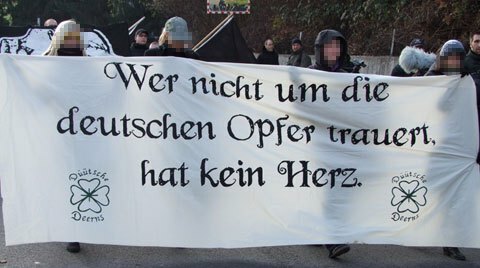 Danke liebe Kollegen und Kolleginnen fuer ihren Mut, ihre Arbeit und ihre Ehre, und sei herzlich gegruesst! 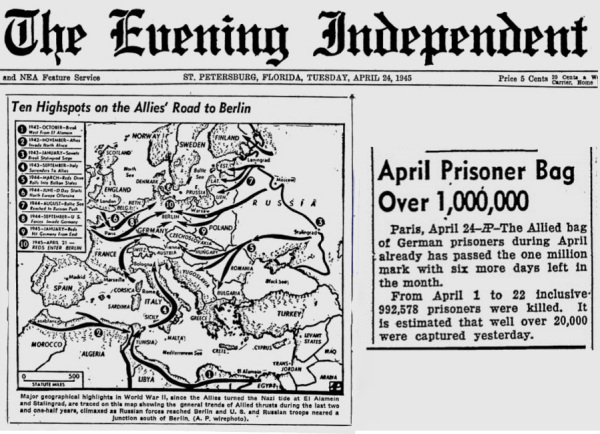 Late addition: I just found this image of an old AP news report in which, on April 24th, 1945, the Allies bragged of already having captured 1 million German soldiers and killing 992,978 prisoners! 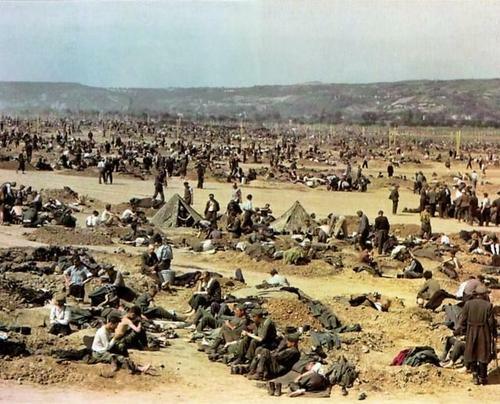 This article was first published on Justice4Germans.